This website is dedicated to the advancement of Interfacial Science and presently privately financed from a small source. Its purpose is solely the dissemination of knowledge on the subject matter of Reconstituted Quantum Silver aka Colloidal Silver. 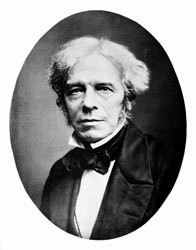 This site is dedicated to the advancement of Interfacial Science as it applies to silver in its form as nanometre sized atomic silver clusters in an electrical suspension and to Scientist Michael Faraday who started it all in the 1800s. Colloidal Silver, the name given to the substance referred to, has become a ‘buzz word’ and even more of a distortion by the abbreviation AgNPs, which is supposed to stand for Silver nano particles, Ag being the symbol for metallic silver on the periodic table. For those using this confusing terminology it must be disturbing that the so-called colloidal silver particles are in reality not a colloid at all and not made up of particles either. A third misnomer is the term ‘dispersion’ that would be better identified as an aqueous electrical suspension. This website is also dedicated to the practice of correct terminology for describing the characteristics of this material as well as promoting independent scientific research into what really constitutes this so-called colloidal silver and what it can do for the benefit of mankind. One of these examples stands out as an enormous impact it had on society as a whole, the art of black & White photography for leisure, permanent records of events and photographic art. All done with halides (silver salts). A cup of coffee with milk and sugar is not coffee, but coffee, milk and sugar in a proportional relationship. Likewise, colloidal silver containing silver ions and unwanted contaminants cannot be seen as relatively pure colloidal silver for the same reason. Neither should colloidal silver be referred to as particles, when in reality it is made up of atomic clusters, suspended in an aqueous media such as water. Copyright © 2019 Hans Laroo Research. All Rights Reserved.